I received a small box containing two bottles of wine one day. I didn’t know who it was from, the winery didn’t seem familiar and I didn’t remember talking to anyone about these wines recently. I decided to give them a try, knowing nothing. I didn’t look up the wines website, just poured and decanted for 30 minutes at 68F, starting with the Cabernet. 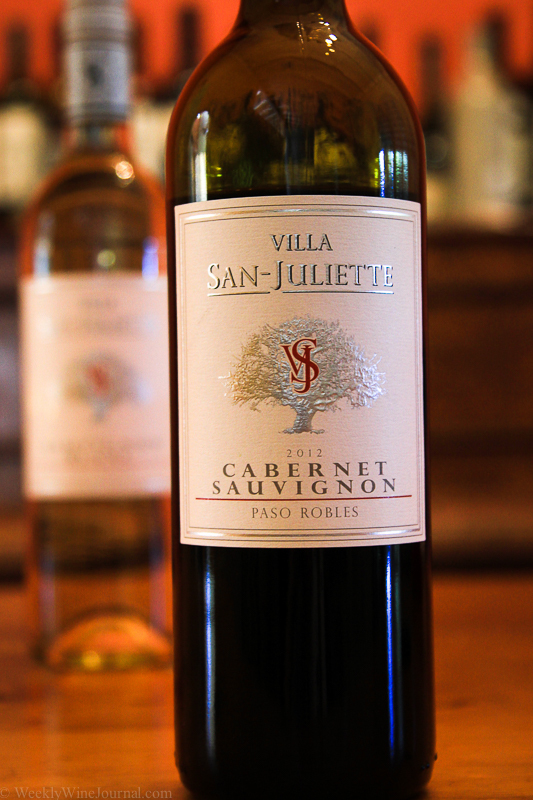 After tasting both wines, each over a 3 day period and with my tasting notes complete I ventured onto the Villa San-Juliette website. I was very surprised to see a photo of Nigel Lythgoe laughing, holding a glass of wine, to say the least. Nigel Lythgoe is an international superstar. He developed and produced “Pop Idol” which was created by Simon Fuller. Pop idol became a global television show, and in 2002 Nigel moved to the U.S. to develop and produce “American Idol” and he became a producer and judge on “So You Think You Can Dance”. The pair bought the vineyard and immediately set about a major overhaul and renovation. The 168 acre property now has over 130 acres under vine with 11 varieties. The vineyard also received SIP certification in 2013. SIP is a very rigorous “Sustainability In Practice” certification and is much more holistic than simple “Green” or “Organic” certifications. 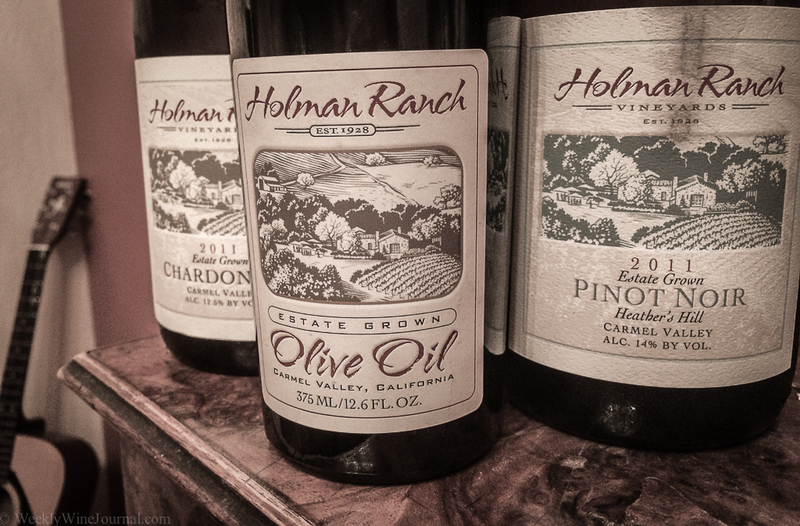 Also in 2013,Matt Ortman was hired as wine maker. 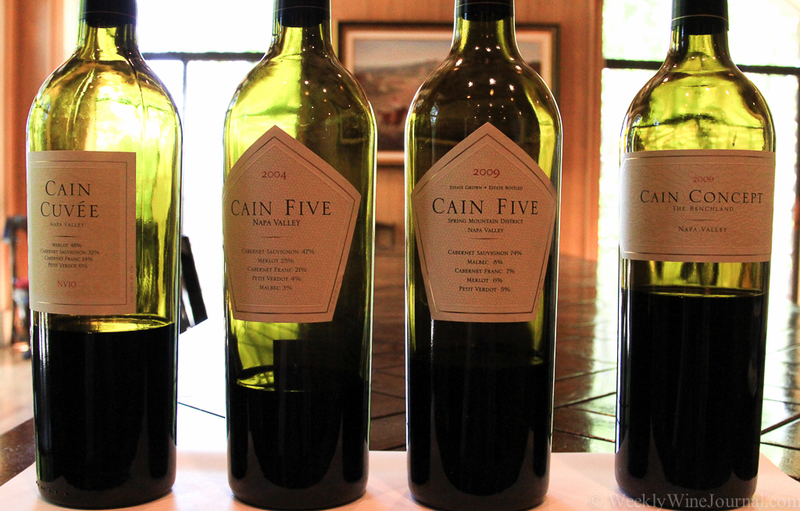 Matt has a long background in wine that comes from his father, who was wine maker at Spring Mountain Vineyards, and a consultant at Cain, Far Niente and Shafer. 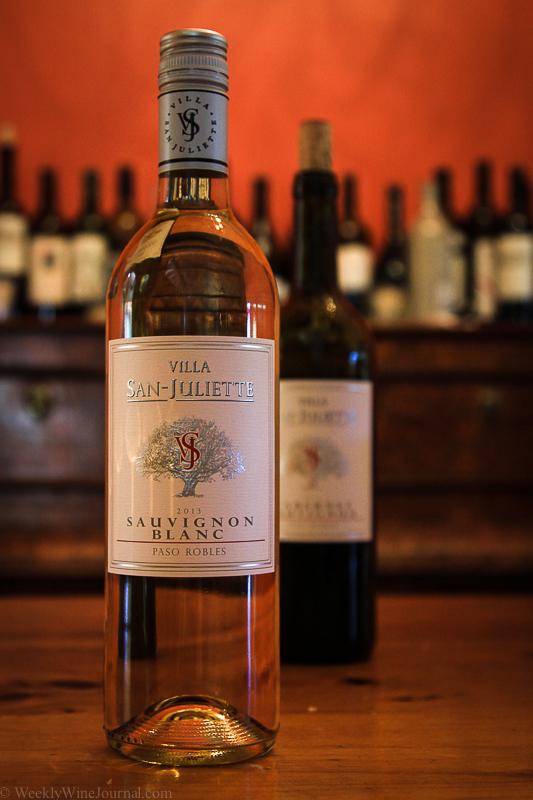 Matt auditioned for the “role” of wine maker at Villa San Juliette. Nigel and Ken and a bunch of wine makers present their wines for a blind tasting and in a scene rather like one of their TV show’s they picked the top contestant! Matt’s wines took first and second place. Pale straw in color with lychee and a bit of honeysuckle and melon on the nose. 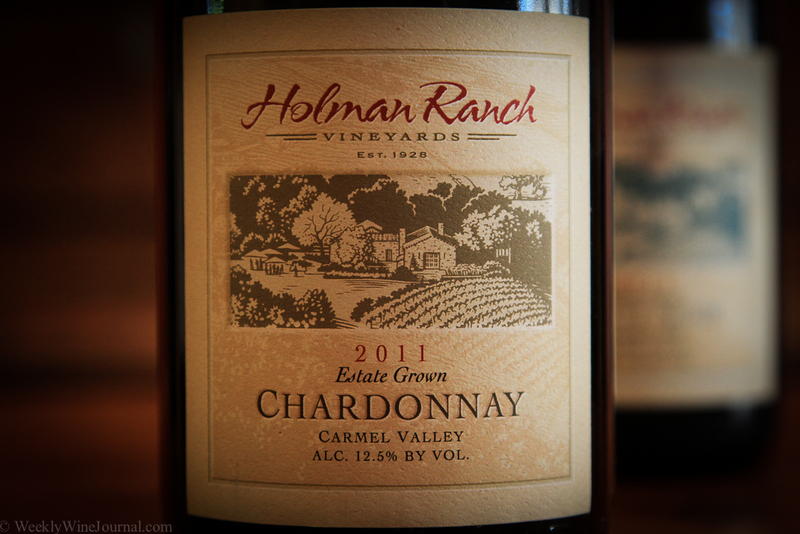 The palate is dominated by citrus and searing acidity with notes of lemon grass. 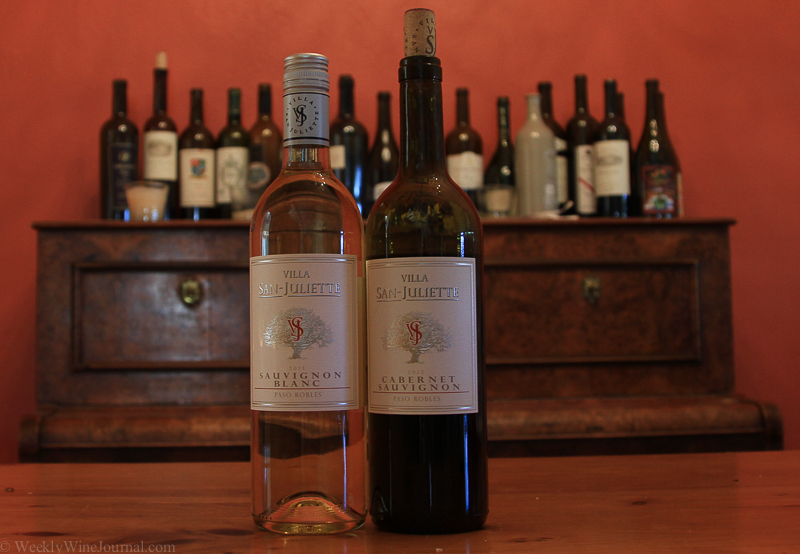 If you like your Sauvignon Blanc to have some kick to it, then this is the wine for you. The alcohol weighs in at 14.4% and although not over bearing there is a warm glow from the alcohol that manifested itself more on the 2nd and 3rd day of the bottle being open. Retail price is $14. A decent wine though not terribly complex, a basic summer wine. Weekly Wine Journal rating: 86 points. I had a chance to meet Dan Cohn for dinner earlier this fall. We met for an old school steak dinner at the famous Durant’s steakhouse in Phoenix Arizona and of course to taste some wines. 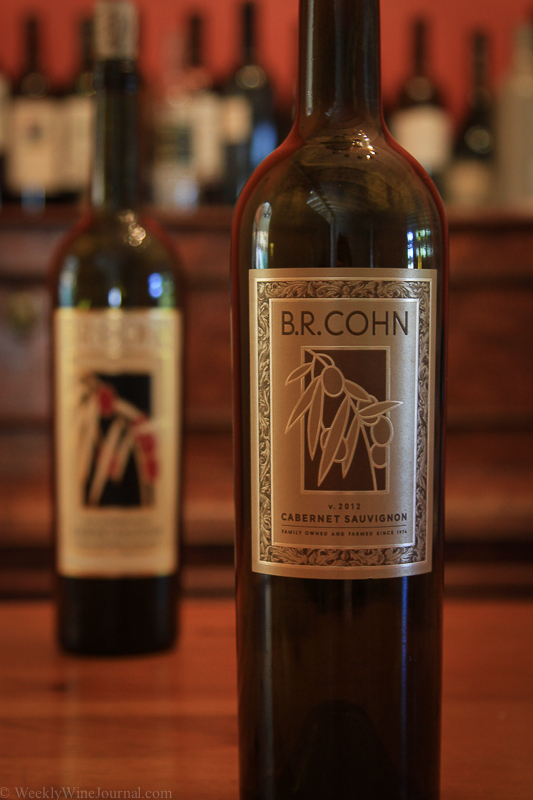 Dan, is the son of Bruce Cohn, founder of the winery. Bruce is also the manager of a band called The Doobie Brothers, and has been since 1970. Bruce founded the B.R. Cohn winery in 1984, but he had already been running a vineyard and selling grapes for 10 years by that time. “My office is the bedroom I grew up in, like literally the tasting room and offices is the house I grew up in.” Suddenly he stood up and walked over to another table and greeted the guests. They had just ordered a bottle of B.R. Cohen with their dinner and he quickly went over and thanked them personally. The guests were quite old and I could tell they didn’t quite know what to make of this guy. He was wearing a purple corduroy type blazer and had a paisley shirt and a fat tie on. He looked like a rock star. A little later on at another table a young couple also ordered some of his wine and he raised a glass to them, their waiter let them know who he was and they were definitely interested. Dan talked a little bit about winery life, but for the most part he was persistent in asking me questions. While not the greatest for pulling information, I did find it flattering and interesting. Not a lot of wine makers and people in the business want to know about the details of wine blogging. His interest was genuine and I appreciated that. When it came time to order, of course we had steak, and paired it with B.R. 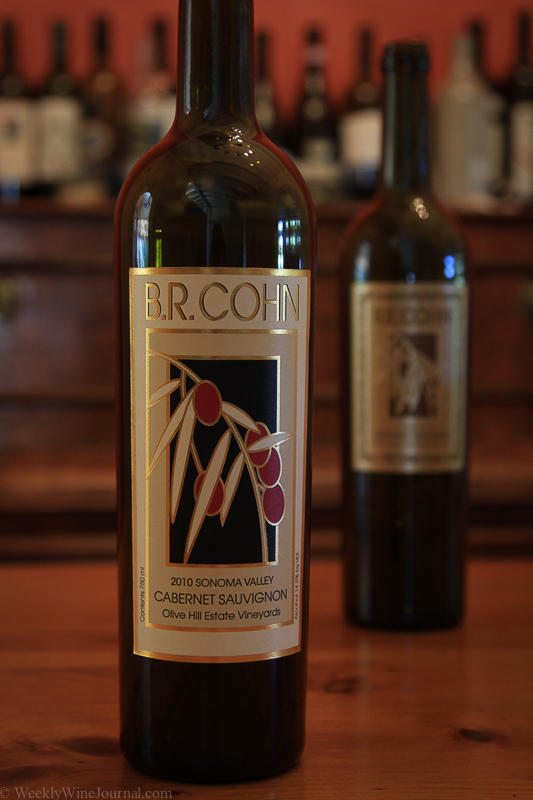 Cohn’s Olive Hill Estate Cabernet. 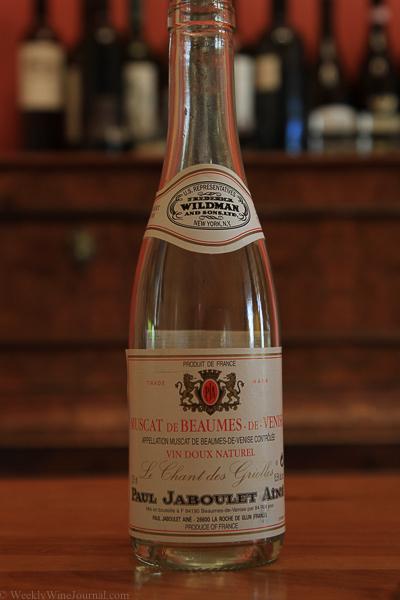 This wine is 100% Cabernet, aged 24 months in French Oak. The flavors of anise and mint dominate the palate. 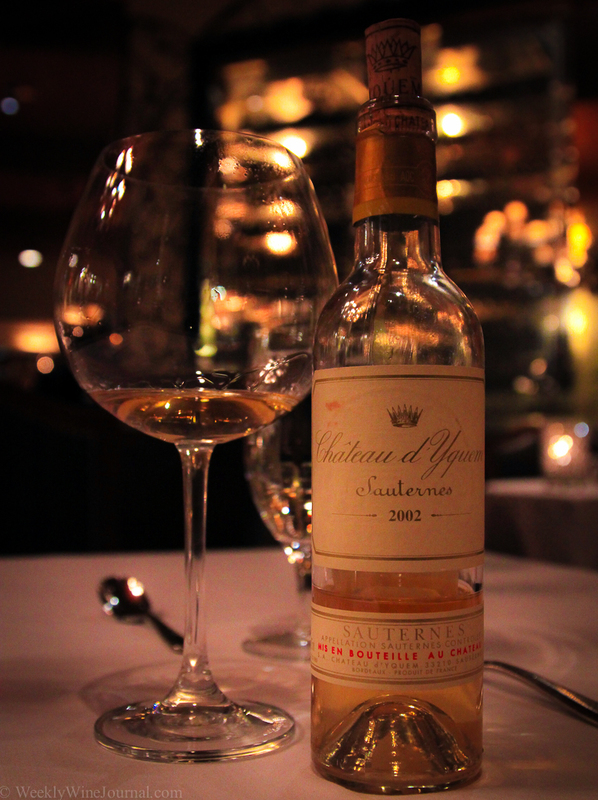 This wine would pair very well with Lamb, although it did go quite nicely with the steak as well. 3,000 cases were produced and the suggested retail is $55. 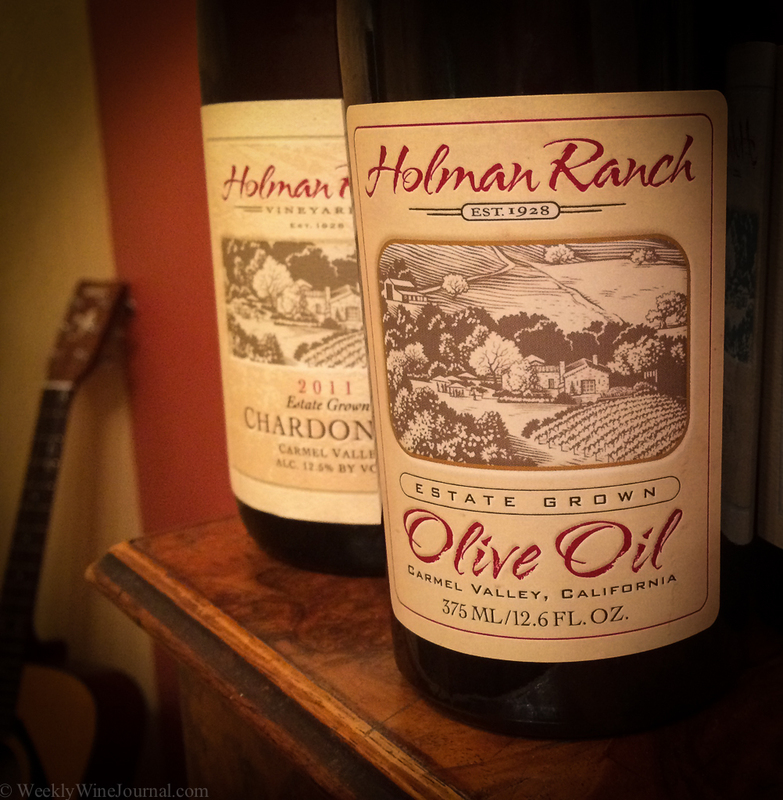 I was surprised by how different the Gold Label is to the Olive Hill. This wine is solid, still young and will benefit from several hours of decanting in the near future. 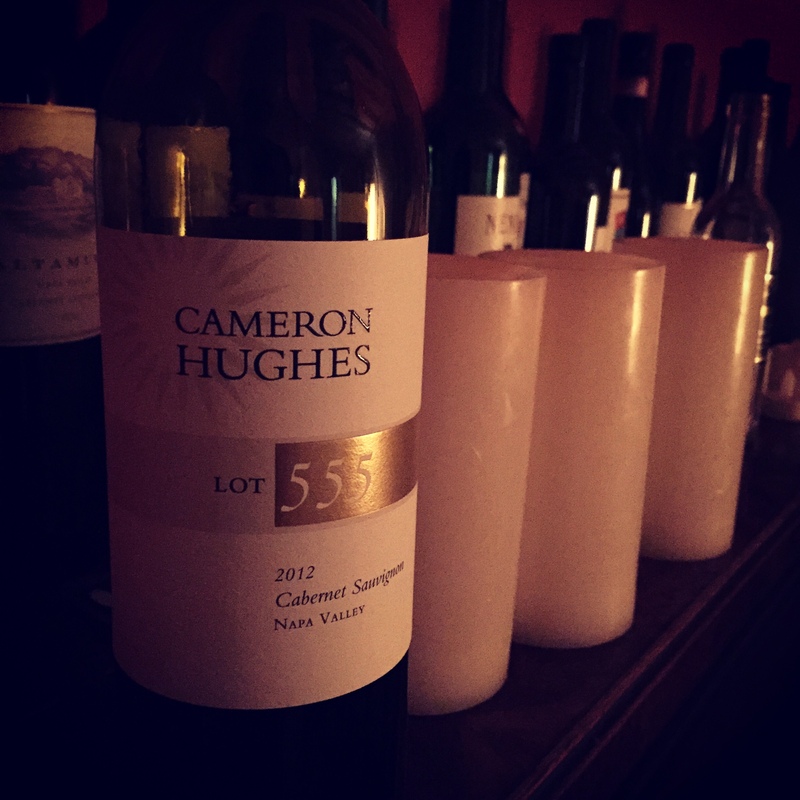 The blend is 67% Napa County and 33% Sonoma County, all Cabernet. 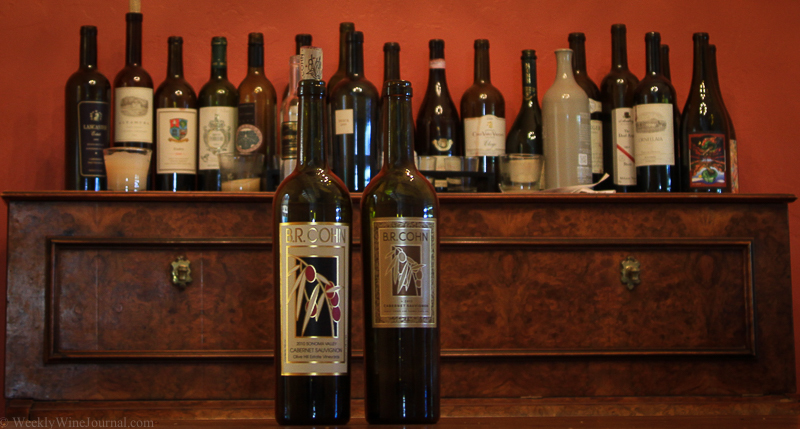 Each lot is aged separately in French Oak. 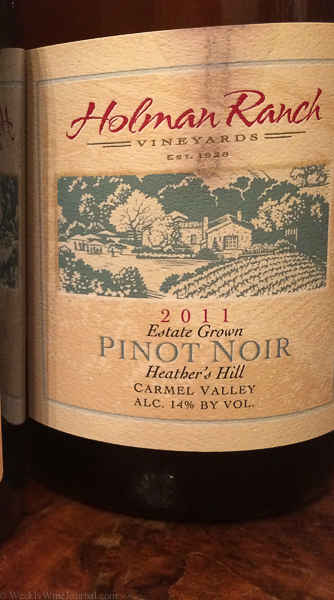 4,800 cases were produced and the suggested retail is $40. I was surprised to see the price at only $40. This a really good deal for that price. 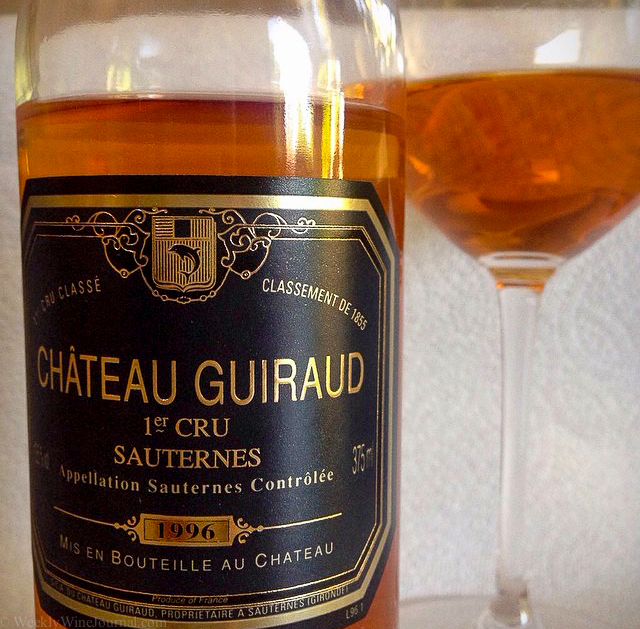 The wine is ideally suited to prime cuts of beef grilled over an open flame.